It would stand to reason that His mother was Jesus’ greatest earthly treasure. 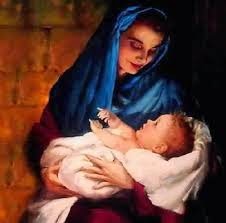 After all, she raised Him and taught Him about His miraculous birth. She sacrificed the pleasure of having her first born Son with her because she knew of His awesome calling. 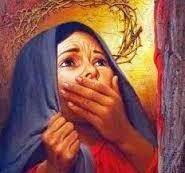 Jesus’ love for His mother is evident in that, even while He was suffering on the cross He thought about her well-being. He knew she would miss Him terribly and wanted to make provision for her welfare. With that, He placed His mother in the care of His close friend John, and John in turn became Jesus’ substitute as Mary’s son. This was not the first time that Jesus would leave His mother. In fact, starting at age twelve, He was about His Father’s business, and that entailed being away from her for extended periods of time. Jesus is not insulting His family here, but rather using their visit as an opportunity to teach a principle about the Kingdom of God. Unlike the world system in which family is often limited to those who share the same DNA as you, Jesus removed those limitations. He didn’t deny that those waiting outside were His family, but rather He included those who were grafted in also. There will be times when you will have to make the choice between your biological family and your wider spiritual family – the Body of Christ. Your biological family may expect certain things from you, especially if they don’t share in your enthusiasm and commitment to the Lord. If you are not careful and discerning, guilt and a sense of obligation can often play a part in your decisions. Please be sure to choose wisely, seeking the Father’s will for you, and then doing it. Sometimes friends are closer to you than your biological family. Like the people in Jesus’ day, they have become your brothers, sisters, mothers etc. However, there will be those who God places in your life for a season, and you must discern when that season is up and be willing to relinquish that loved one to go on to their next assignment. It is so important to remember that no one should be held in higher esteem in your life than God Himself. Learning to hold loved ones with an open hand and not a closed fist is no easy feat, but it is absolutely necessary in this journey to freedom. Because of the emotional connections that we have to our loved ones – be they biological or otherwise – our emotions can wreak havoc during those times when we must separate from them in order to usher in a higher good. If a beautiful butterfly landed on the palm of your hand and stayed there for a while, you would probably admire it and savor its presence. 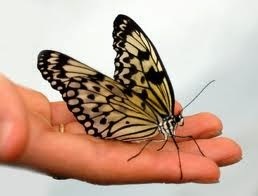 However, if you noticed that the butterfly was about to fly away you wouldn’t close your fingers around it to trap it in your hand, would you? Doing so would mean certain injury or even death to the innocent creature. 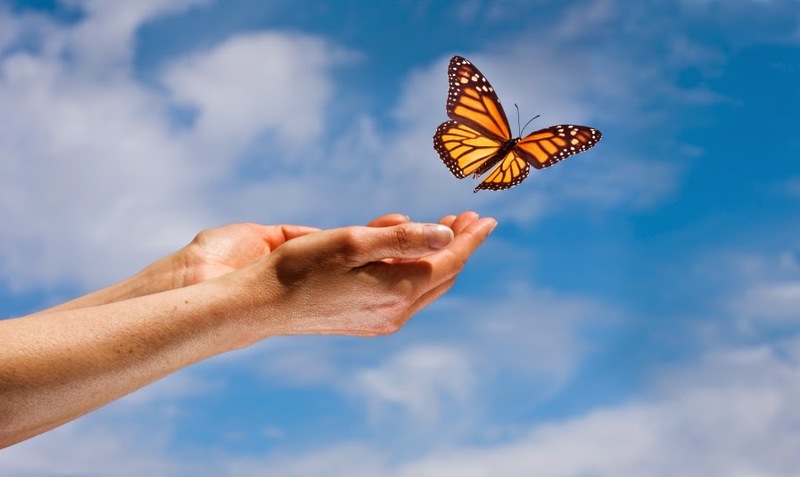 We are to treat each of our treasured relationships like that butterfly, holding them close to our hearts, savoring the fellowship, but at the same time allowing them the freedom to move on as God requires. Seriously stirring Article ... one for all times. Thank you for sharing. Thank you for sharing your thoughts of wisdom with us here at "Tell Me a Story." Great post, Audrey! I've always thought that party of what Jesus was trying to tell us with regards to family is, follow Me. I'll take care of them, I love them even more than you do - follow Me. I think He knew that we would always struggle with elevating family above Him and His call on our life. Have a blessed week! Your post and the scripture made me think, about how Jesus being the first born, was essentially responsible for the women in his family - and that He didn't leave her forsaken. He never leaves us motherless, fatherless, brotherless - sonless. He can fill us up in all those empty spaces - He sends them to us - spiritual brothers and sisters, mothers and fathers, sons and daughters - and, like Mary, we have to trust and let go when we are called to let go! Have a blessed week! As I read your words I kept thinking of how the Father has grafted us in and the amazing equality of love He has for us - for who we are as individuals...there will never be a season in life where He will withdraw His love from us...even though He may hide a little in order for us to seek Him more...we are sisters joined to His heart! Powerful words of wisdom you have shared! Oh Audrey-- What a though-provoking and heart stirring article. I have been pondering these things lately and thanks for encouraging me to think even deeper on them. Blessings to you! What a wonderful article!! Thanks Audrey.